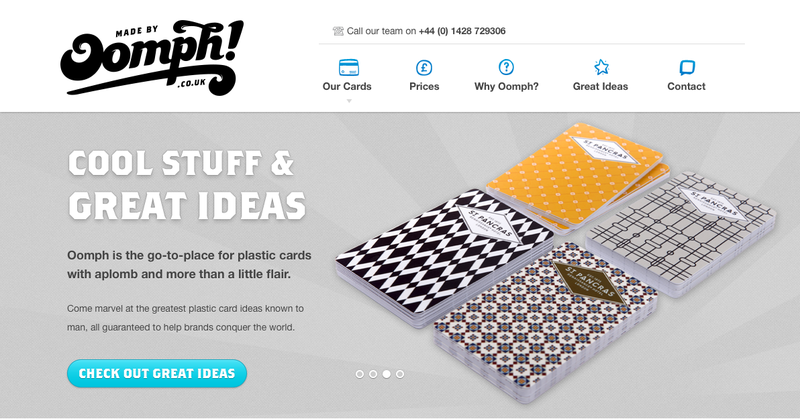 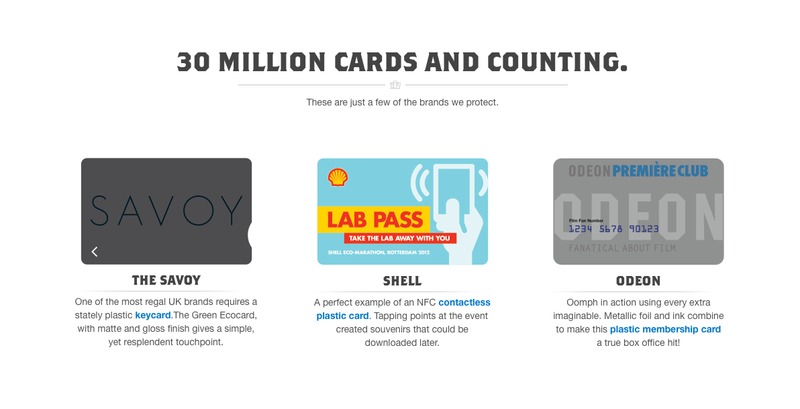 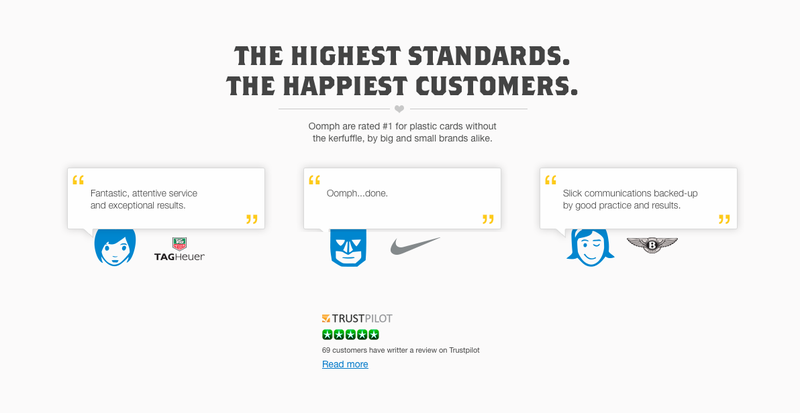 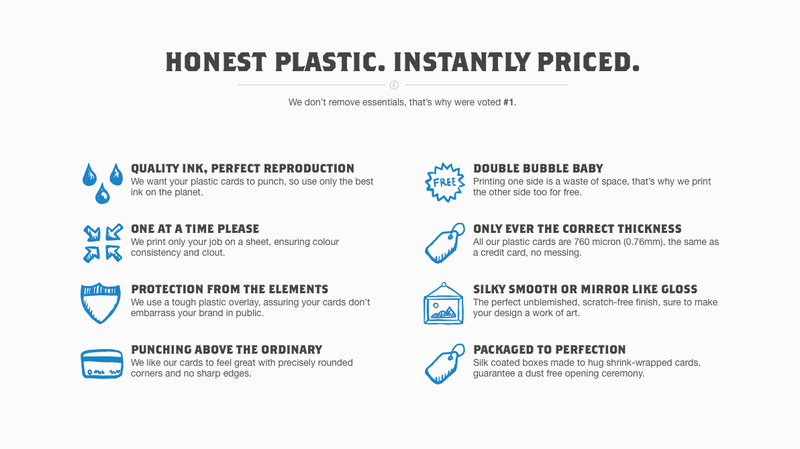 Oomph is a high-quality printer of outstanding plastic cards. 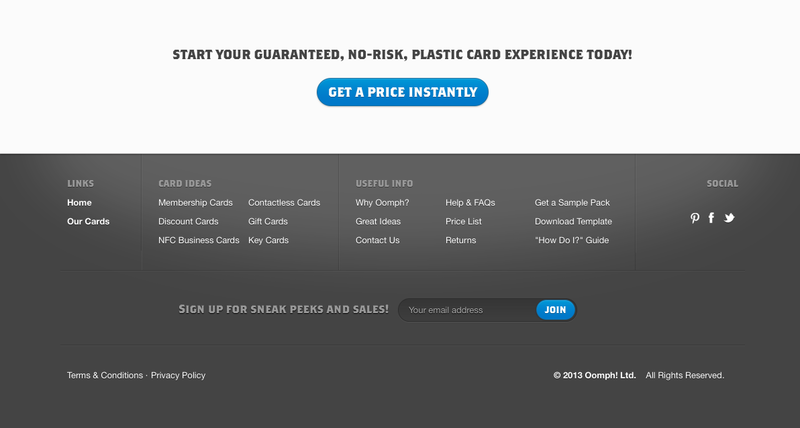 From membership and discount cards to gift cards and hotel keys, our cards literally open any doors. 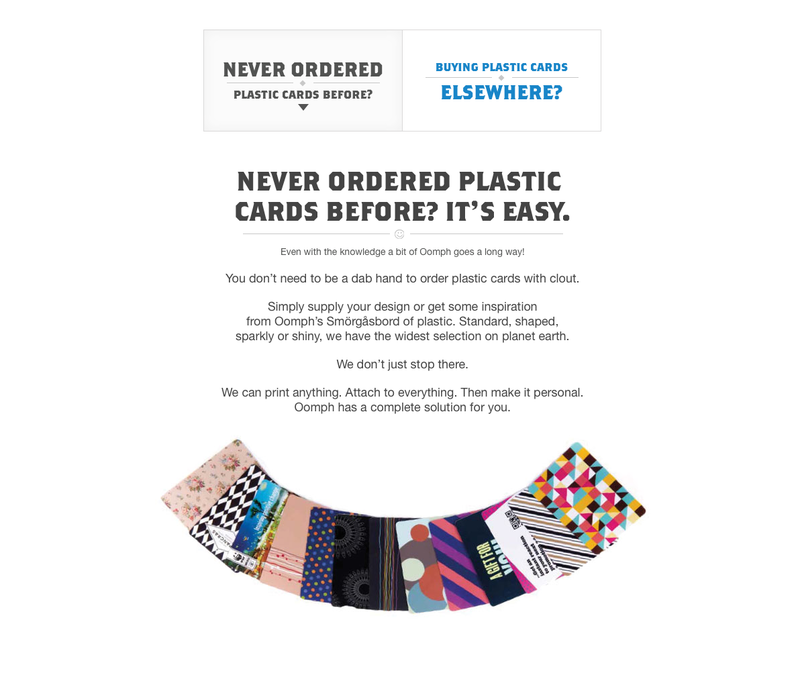 You can upload your own artwork or use a beautifully designed templates to produce cards with this innovative card builder.